I was about ten when I discovered my forever idol. 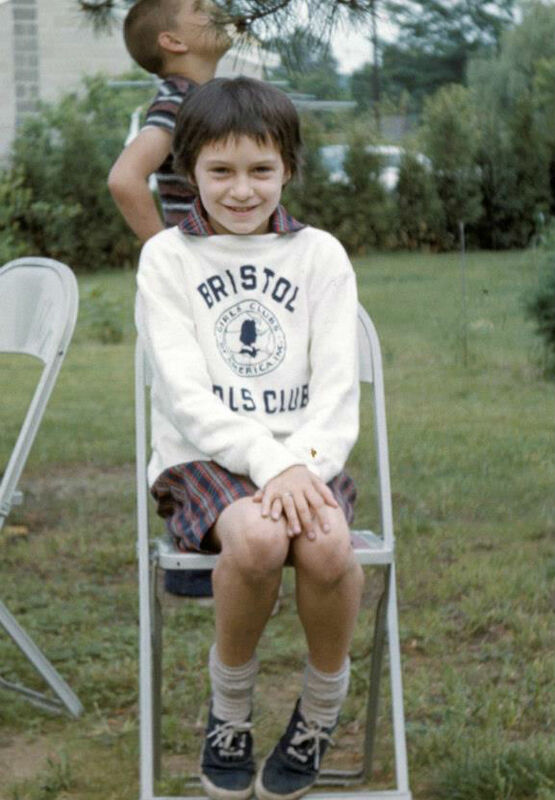 From that first discovery until today, Audrey embodies everything I ever wanted to be like. But especially everything I wanted to look like. The gorgeous doe eyes, strong brows, expressive mouth with the most perfect lips. And the bone structure, the long neck, the perfect posture, the charming flat-footed stance. And I am so close to being just like her, except for small eyes, a round face, weird eyebrows, tiny lips (‘tiny’ meaning ‘none’), a short neck, a curved spine, and thick ankles. Oh wait… a flat chest. I have that! Audrey and I are practically twins! But I noticed something intriguing when watching Audrey Hepburn movies. (Almost any movie back then really – but Audrey was the BEST). How come all the women in movies look so pretty when they cry? 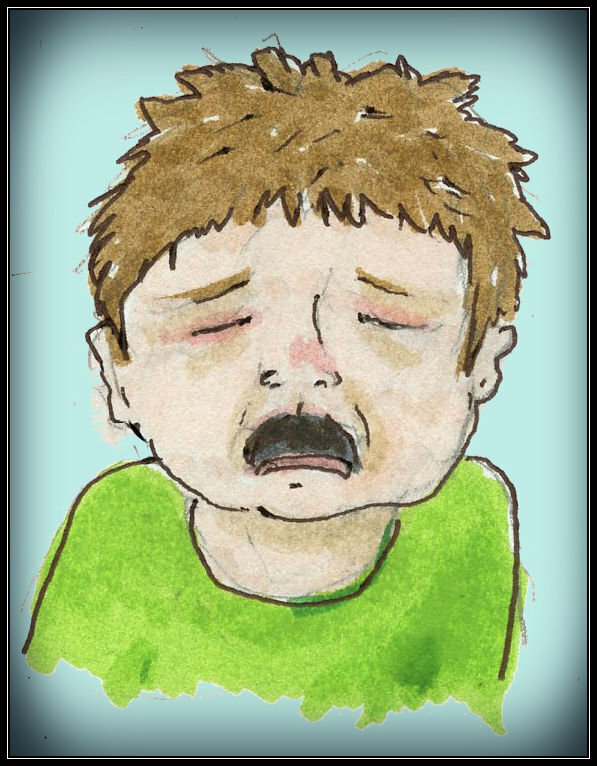 Do you know anyone who looks like that when they cry???? Well. 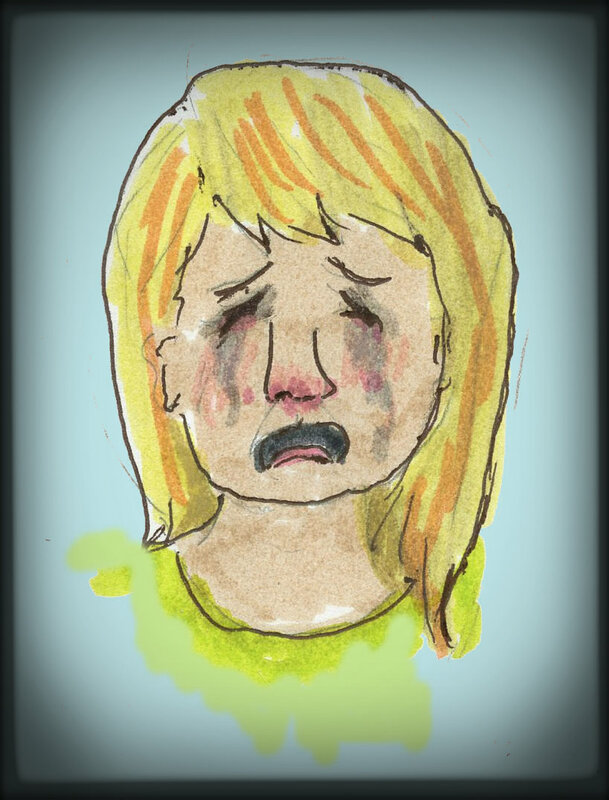 I decided at ten I was going to be a pretty crier. I watched myself in the mirror when I cried… trying to emulate Audrey’s sad eyes, trembling but still lovely mouth, and that single tear dropping perfectly down her cheek. Christ, I was not even successful at getting the snot to stop pouring out of my nose. Why did Audrey never even have a drip? Cry me a river? Out of my nose, maybe. But I continued to practice. Although I was famous in my family for Big Drama, I could not cry on cue. But I still got to practice a lot, because my sisters were awfully good at getting me to cry on cue. and I’d run to the bathroom and check myself out in the mirror. I don’t cry much as an adult. Not only because I have a happy life and don’t have many occasions that bring me to tears. 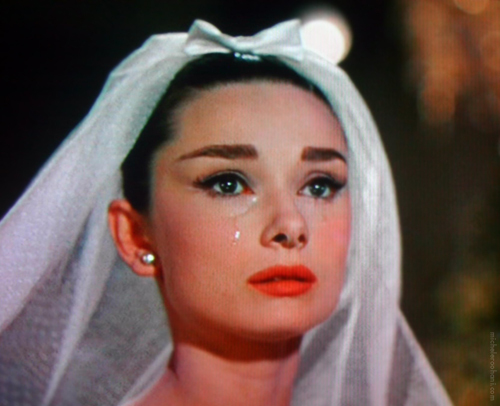 But also because I never got the hang of Audrey’s lovely tears. And I wear way too much makeup. I wasn’t that far from love myself…..
She was beautiful, truly. But you know, those tears, they were fake. Does that make you feel better? Oh my gosh, I remember trying to cry pretty too. Sometimes I’d even catch a drop of water out of the faucet and touch it to the corner of my eye hoping it would slowly fall down my cheek. No luck… it just sat there. Fortunately life gives me very little reason to cry now because I look much like your drawing when I do. Yes, I am thankful I have a nice life… first, because it’s a nice life, and second, because no one has to see me cry. One of my favourite films was Roman Holiday. As for crying pretty, these days we have a long way to go from Demi Moore in Ghost (choke, sob). Oh yes, so undignified, and so very human! Sigh. 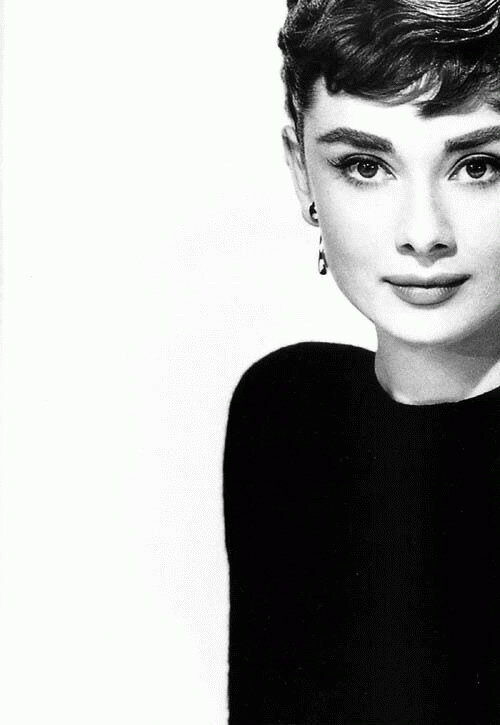 Audrey Hepburn WAS gorgeous and inspiring and one-of-a-kind. She wasn’t real REAL was she? Sigh. She was so much better than real. It is so much fun reading your posts. This post is hilarious!!! Thankyou for sharing. Thanks! I love making someone laugh. Waterproof mascara makes all the difference. I have always been afraid it would make the few lashes I have fall out. I don’t know the origin of this fear… was there a horror movie with a lashless villian? She was really something. I think every girl wanted to be her for all the reasons you mentioned. The crying thing is a mystery to me. Like you I have stuff coming out my nose and makeup running down my face. Unfortunately, I also have a big old Ukrainian shnoz that seems to grow when I cry and turn bright red. Of course my whole face gets full of red blotches at the same time so at least it matches my nose.